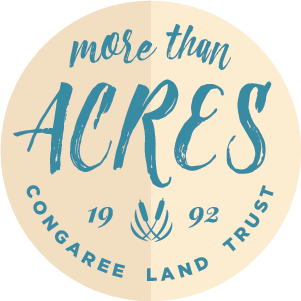 The Congaree Land Trust was founded in 1992 by seven individuals with a commitment to conserving the natural and scenic lands of central South Carolina. is to conserve the natural and scenic lands of central South Carolina, while supporting traditional land uses such as agriculture, hunting, and forestry. In our 25 year history, the Congaree Land Trust has conserved around 72,000 acres representing 150 properties of priority conservation land in 13 counties of central South Carolina. A conservation easement (CE) is a legal agreement between a landowner and a conservation organization that permanently protects a property from development and subdivision, forever — regardless of future changes in ownership. It is the ultimate property right. A CE is ideal for landowners who want to see the character, uses, and beauty of their land maintained in the future. You continue to own and live on the land, and manage it as before whether it be farming, forestry, hunting, fishing, or general outdoor recreation. You are still able to sell the property or leave it to your heirs, but the Land Trust accepts the responsibility to monitor the easement and enforce its terms forever. There is power and innovation generated through cross-sector partnerships. 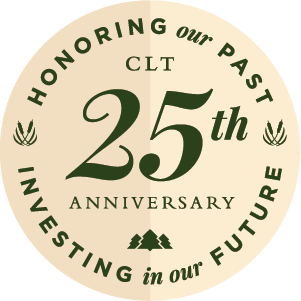 It is with this in mind that CLT has formed a business and conservation partnership initiative focused on economic and conservation issues essential to a thriving community. — it is supporting a way of life, and legacy for future generations. It is about protecting our way of life. It's about more than acres. It is about more than acres, it is about maintaining our way of life. The land has defined us for generations. It is South Carolina’s number one economic driver, it is where we go for our recreation, it is what we rely on for our basic needs. South Carolina is experiencing unprecedented growth. The Congaree Land Trust is working to ensure there are land conservation priorities to protect our quality of life. You can be a part of that work. You can help us maintain your way of life. Get outside and Join us! We offer some of the best nature outings in town! When a community creates shared goals and understands the value of their landscapes, more than acres will be conserved — a lifestyle will be passed on. Get involved! The form has been sent! Thank you for reaching out. Ooops! It appears something went wrong.